The Same St. Paul, Minnesota scene that brought us the Wisdoms also gave us Gaity labelmates the Velquins, who had started out in 1956 as the Cranes, then the Jades, and ultimately settling on the Velquins as their group name. The Velquins used local rockers the Teen Kings as their backing band. The Twin cities had fierce territorial rivalries amongst vocal groups but the Velquins were always welcome behind enemy lines. A University of Minnesota frat once asked them to sing a boiling pot at a jungle theme party! The Velquins unsuccessfully auditioned for both Chess and Vee-Jay in Chicago. 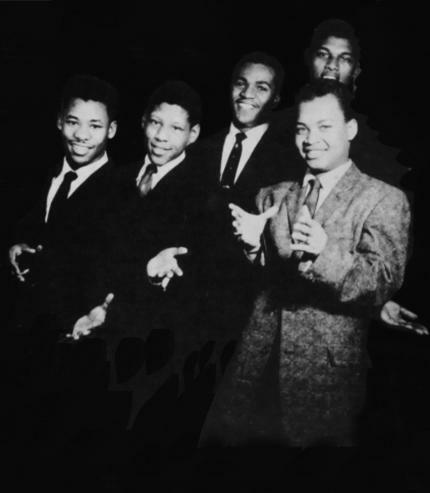 They did back George davo on his single "All through with you" on North Star, and recorded their own lone Gaity release "My Dear" / "Falling Star", bringing in Henry Jones of the Five Blind Boys to beef up their sound. All copies misspelled the group name as the Valquins. 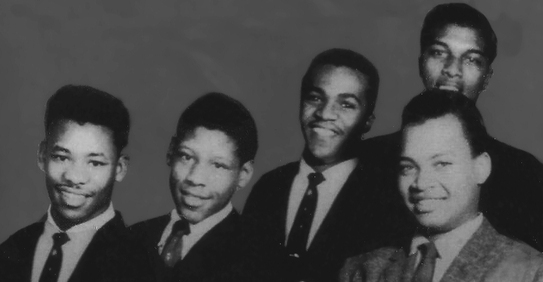 The Group sang also on "I'll Cry" by Bobby Wharton & The Little Green Men under the name of The Vel-Quin Singers.